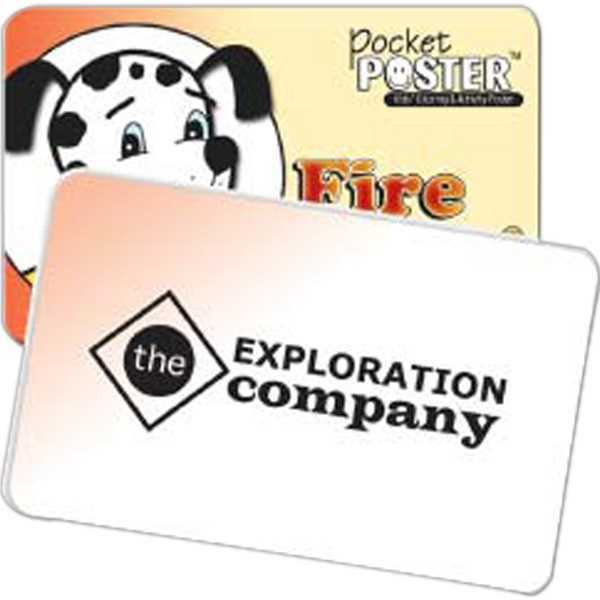 Your next campaign will be a "barn burner" when you include the Pocket Poster: Fire Safety! Fire safety can be fun with Flash the fire safety dog. Color in a great poster of Flash on one side, and enjoy activities on the other. The poster opens up to 9 3/16" x 13 1/2" and folds to credit card size. The product is CPSIA compliant with an age group of 36+ months. Your brand can be seen far and wide with the addition of this item! Size: 3 3/8 " x 2 1/8 "
Imprint Size:2 1/4" x 1 1/8"